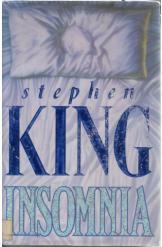 Insomnia by Stephen King, 1994. This story is about Ralph who loses sleep and much more. He can only beat it in a high stakes card game. This is a waking nightmare of a story and you are assured you won't rest in peace.